Shiu Wing Steel Limited was briefly mentioned in Newsletter 8 as the only steel rolling mill currently in Hong Kong and located at Tap Shek Kok, Tuen Mun. 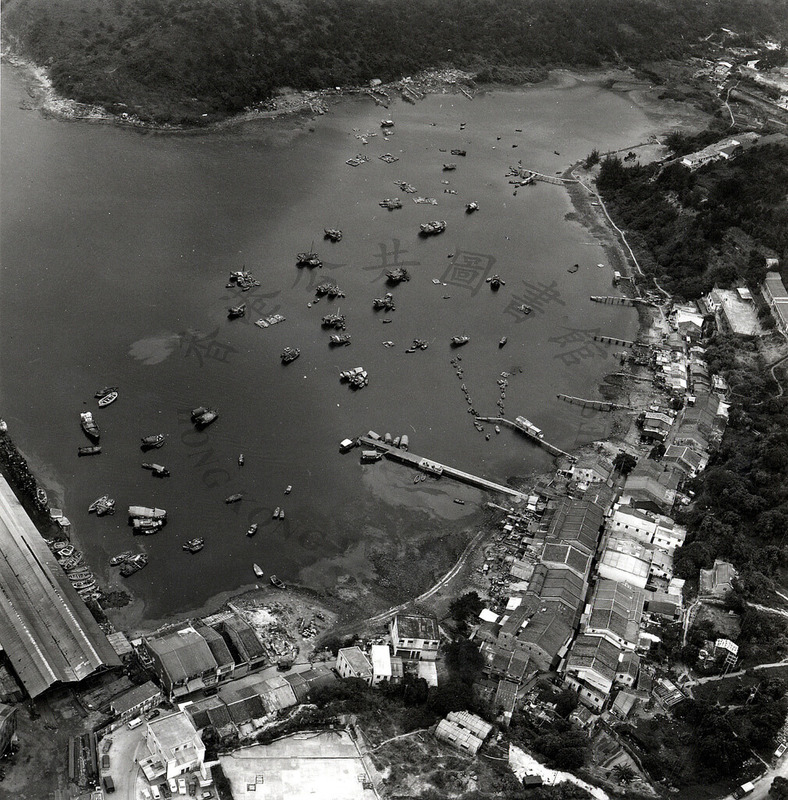 Before relocating to its present position the company was in Junk Bay, present day Tseung Kwan O, from 1958 to 1991. IDJ provides interesting information about the Shiu Wing Steel Company’s time in Junk Bay. 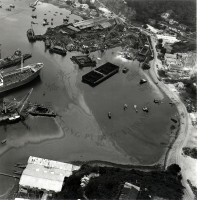 When the steel mills were out in the Junk Bay area located near the ship breaking yards, the operators were supposed to liaise with a local power utility’s system control engineers whenever they were about to start up or close down the electric arc furnaces which consumed a lot of power. This utility company’s engineers would then remotely control the area’s voltage and frequency to have minimal noticeable effect on the consumers. As there was only a single power line feeding the area, residents had long suffered from severe domestic voltage fluctuations whenever the steel mill’s furnaces were operating. At that time the domestic line voltage was only 200 not the 240/250 volts expected today. On an occasion probably in the early 1980s, something went very wrong, and a very large number of domestic appliances i.e. TVs, video recorders, and probably any ‘white’ appliances i.e. fridges/washing machines etc. that were operating were destroyed by very large voltage swings on the system in the Clearwater Bay peninsula area. Claims poured in to the utility company for new replacement goods. And, no doubt many others not affected jumped on the bandwagon trying to acquire new televisions under false pretences. Now Shui Wing Steel is located next to the power stations at Castle Peak and the much higher voltage power grid, such things should no longer happen. 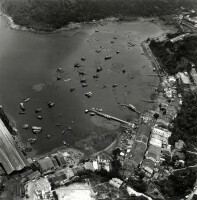 These aerial photographs are of Junk Bay in 1973. I wonder if they show the Shui Wing steel mill? Photo A shows several large industrial looking buildings at the top of the land projection, and another, maybe two, white buildings at the bottom. Photo B shows a large building at the bottom left hand corner, which looks the same as the one at the top in photo A. Can anyone help positively identify the Shiu Wing Steel mill from these images or post something that does? Click on the images to see a larger version. This article was first published on 3rd November 2013.